Violent fights and suspensions had reached a tipping point at Simone Parris' Brooklyn high school. With the help of an adult mentor, Parris founded a Crisis Intervention Center at her school, a kind of drop-in center for teens in trouble or in need of support. As senior class vice president, Parris was involved in peer mentoring and active in the anti-violence league SAVE. She was also a good student, excelling in social studies and dreaming of one day studying law. When it came time to start thinking about college, guidance counselors gently explained to Parris that her mother's public librarian salary of $61,000 was too high for some of the more prestigious schools' most generous financial aid offerings. She'd be better off going to a midlevel school and vying for a scholarship. Meanwhile, Parris had read about Cornell. She couldn't help thinking this large research institution, nestled in natural beauty and far away -- but not too far away -- from her urban home, would be the perfect place for her. "When I first visited, it was on the cold side, but it wasn't cold enough that I needed a jacket," Parris said. "The weather was perfect, the trees were starting to change and I thought it was beautiful." Parris' mother, a single parent with three children, had read about how some Ivy League schools were beginning to retool their financial aid offerings. 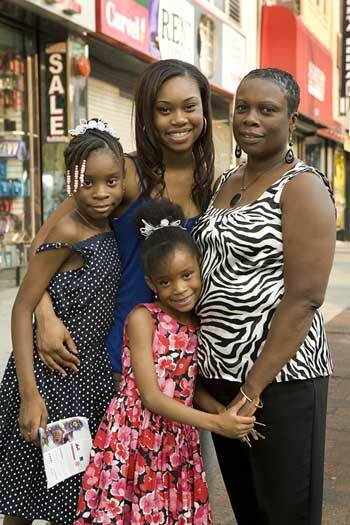 She encouraged her daughter to apply to Cornell. "There's hope," her mother had said.